Celebrity Edge – coming soon! In December 2014, Celebrity Cruises announced they are building a new class of luxury cruise ship called “Edge Class”; however they have been very secretive about the design and facilities on board since that first announcement. At the recent steel cutting the Celebrity Cruises and ship yard executives held an outline of the ship – but is this the true silhouette of the Celebrity Edge? Does the ship have a straight bow? What is that square shape mid ship? Bar? Restaurant? Performance space? One thing we can be sure of the ship will have multiple dining venues and bars - but what else do you think will be onboard? Leave your thoughts below. More details will be revealed on 13 March 2017 when the ship goes on sale to the public for the first time – bookmark this page and ensure you follow us on Twitter, Facebook and Instagram as we have been invited to the exclusive 3D reveal event! We were sent this image for an invite to the reveal - what do you make of it? 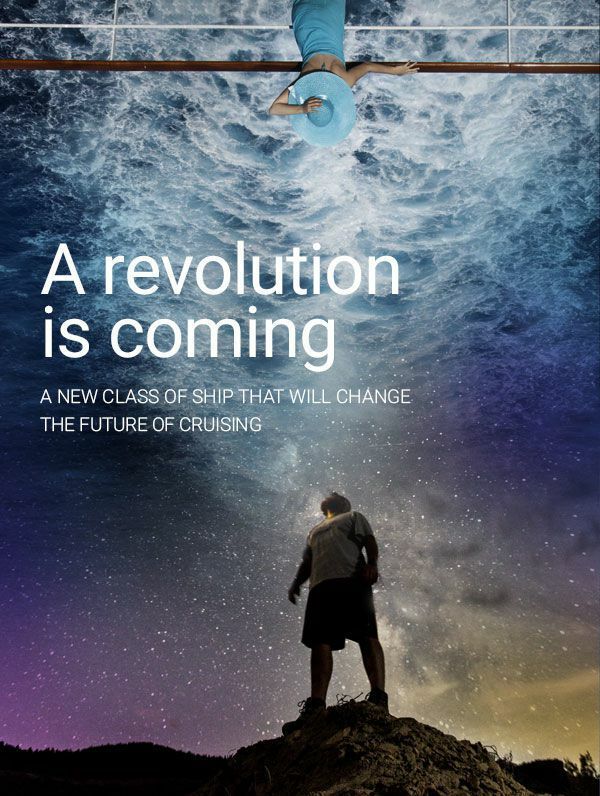 Will there be star-gazing on board? A Planetarium? Is it a tease or just a nice image?